Obituary for Jane D. Surniak | Frank Kapr Funeral Home, Inc.
Jane D. (Minnie) Surniak, 87 of Greensburg , formerly of Everson, passed away Friday afternoon, March 22, 2019, In Redstone Highlands, Greensburg, in the presence of family. Jane was born in Everson, October 28, 1931, the daughter of the late Anthony (Sept 21, 1967) and Angeline Jadwiszak Surniak. Jane was a devout Catholic and a member of the Partner Parish of St. Joseph R.C. Church, Everson and was known to pray the Rosary daily. Jane was a graduate of the former Scottdale High School. She was a retired Court Stenographer for the State of Pennsylvania Workman’s Compensation, Greensburg, with 50 years service. Her most cherished memories consisted of her International Travels. She loved to be around small children, especially babies and rejoiced in the beauty of nature that God has given us. Also a number of Great and Great Great nieces and nephews. Family and Friends are cordially invited to the Frank Kapr Funeral Home, Inc., 417 Pittsburgh St., Scottdale, Pa., Monday, March 25, from 4 to 8 PM where prayers of Transfer will be held Tuesday at 10:30 AM followed by her Funeral Mass at 11 AM in the Partner Parish of St. Joseph R.C. Church, Everson with Rev. Andrew M. Kawecki, as Celebrant. Her final resting place will be in St. Joseph Parish Cemetery. A Parish wake service will be held Monday at 7:45 PM, both in the Funeral Home. 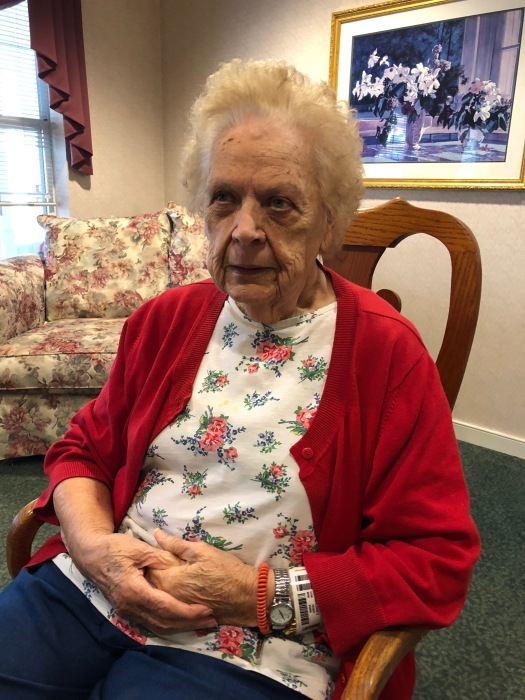 Jane’s family would like to thank those at New Haven Court at Linwood for providing her a comfortable home and their exemplary care and compassion.